Qatar-based broadcaster Al Jazeera is to relaunch its citizen media platform Sharek, with new features to include an accreditation system to recognise trusted contributors and multilingual content. According to a release, Al Jazeera's head of new media Moeed Ahmad told the UNESCO World Press Freedom conference that the updated system will run an accreditation service which "will distinguish reliable and regular submitters of content". Once contributors reach a certain level "their videos will be viewable pre-moderation as opposed to the default post-moderation", the release adds. Al Jazeera first launched Sharek, which is Arabic for 'share', in 2008, with reportedly more than 70,000 videos uploaded so far. Last year Al Jazeera's head of social media Riyaad Minty told the media140 conference in Barcelona that during the Arab Spring Sharek was receiving up to 1,600 videos a day at its peak, which he said prompted the broadcaster to work on building its resources to be able to deal with and verify this material. According to today's announcement the relaunched platform, which is due to be available from the third quarter of the year, will allow users to view content in English, Arabic, Serbo-Croat, Turkish and Swahili. The broadcaster is still seeking suggestions and feedback on any other features which may be desired by users. "Footage from people on the street has been critical to our reporting in the region over the last year and a half," Moeed Ahmad said in a speech to the WPFD ceremony in Tunisia, according to a release. "We've received an enormous 70,000 videos from Tunisia, Egypt, Syria, Yemen, Bahrain, Libya and many other countries. At critical times we were receiving a clip every second. We're extremely grateful to everyone who has sent in video – they have helped inform us and our viewers around the world. 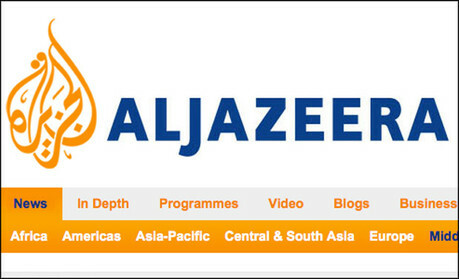 "Al Jazeera is committed to fostering a culture of citizen reporting in communities across the region and worldwide. That is why visitors to Sharek are able to watch footage that doesn't necessarily make it onto our screens. It's also why we're training would-be journalists from communities in the Middle East and Africa. “The latest developments to Sharek are in response to feedback we've received – we're in constant dialogue with our viewers and readers and look forward to that continued engagement on this service."